This weekend, we're going to Gibsons for the first time after the recommendation of the sweet Jo from Hamilton Design. It sounded too good to pass up, so we booked it last minute and can't wait to check it out. I received this beautiful blouse from her so I can't wait to check out the rest of her store as well. Maybe I'll come back with some more goodies! 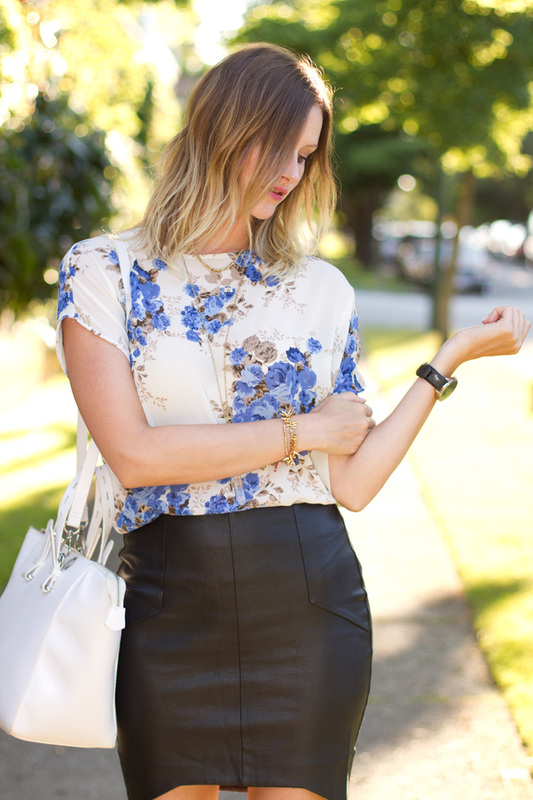 I always love combining something sweet (like this flowy floral blouse) with something tough (like this tight leather skirt). I think the combination gives the perfect amount of each and they balance one another out. I try to add opposing elements like this to most of my outfits and feel way more comfortable when I do. What do you think about combining opposites into one look? Is it something you would do as well? The skirt is so perfect! When I wear leather I definitely tend to mix it with something soft. Love this look! I've been to Gibsond a bunch! Small but fun and great to do in the weekend. Awesome, really perfect outfit for work.. I adore this look! 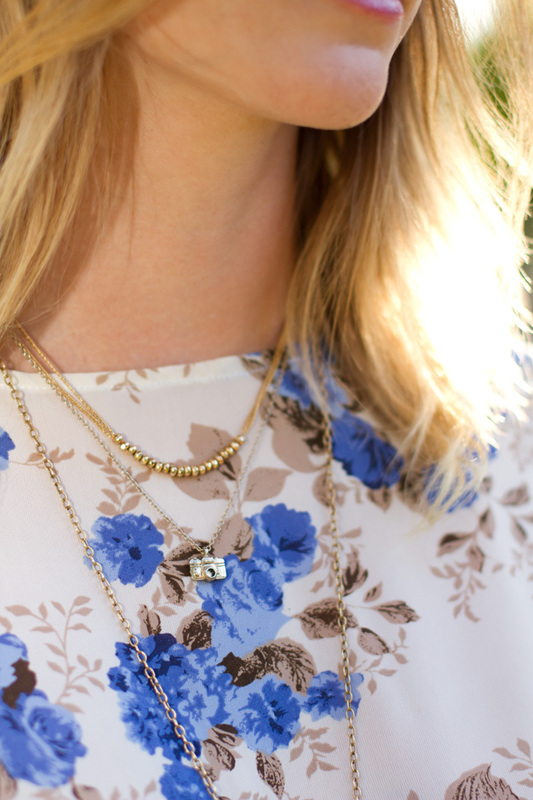 Love the floral with leather and think you look stunning! !Great nail polish as well. I love this outift!